Duane “Dog” Chapman was raised in Denver, Colorado with his three siblings and parents. His claim to fame is his reality television show Dog the Bounty Hunter which airs on A&E in the USA as well as the Virgin 1 network in the UK and Ireland, and the Fox8/Nine network in Australia. The former “bad boy” is also a licensed American bounty hunter. Duane was born February 2, 1953 to Wesley and Barbara Chapman. His father was a boxer and welder with the Navy, and Duane followed in his footsteps by doing amateur boxing in his teens. His mother was half Chiricahua Apache and a minister with the First Assembly of God. Duane dropped out of elementary school when he was in the seventh grade. Already exposed to a tough childhood at the hands of his father, Duane Chapman subsequently joined a motorcycle gang. He was arrested 18 times for armed robbery; in 1977 Duane was sentenced to 5 years in prison, and was released on parole after serving 18 months of sentence. 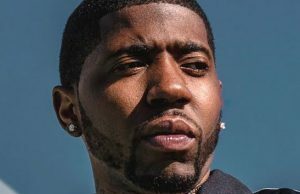 Duane’s wife filed for divorce while he was imprisoned. 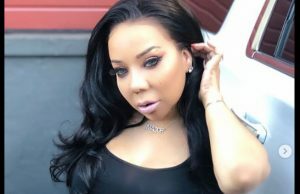 To offset monies owed for child support the judge overseeing the child support case asked Chapman to bring in a fugitive in exchange for $200; this deal launched Duane’s bounty hunting career. Duane “Dog” Chapman started his first bondsman business in Denver, Colorado before moving to Hawaii. The business included members of his family including his wife Alice Elizabeth Smith and another bounty hunter Tim Chapman. Chapman had arrested over 6,000 people and was noted for is efforts of rehabilitating them. In 2003 Duane captured cosmetic giant Max Factor’s great-grandson Andrew Luster, spiraling media attention. Luster fled the country to Mexico during his trial for multiple rapes. Chapman’s “hunt team”, consisted of his son Leland and his associate, Tim Chapman. When they failed to hand over Luster to the Mexican authorities Chapman and his team were arrested by United States Marshals and placed in jail in Honolulu in September 2006. They were charged with deprivation of liberty and declared fugitives by the Mexican Government. After a court appearance the presiding judge released the men on bail under the premise that they were not a flight risk. They charges were later dismissed, but not before the media attention got Duane his own television show. 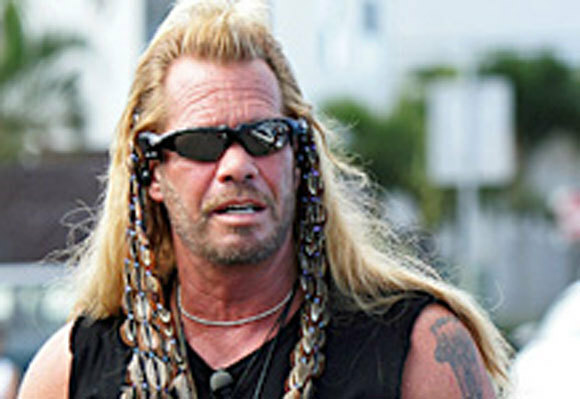 Dog the Bounty Hunter was created based off Chapman’s appearance in the show A&E Network’s Take This Job, a program about people with unusual occupations. In Duane’s case the concept of the program was to follow the family’s bail bond business as they capture fugitives. The show was temporarily cancelled by A&E in November 2007, after Chapman was recorded making racist remarks. After several public apologies and support from black leaders including Roy Innis A&E announced that the show would return. The show is now in its sixth season. Duane first marriage was to La Fonda Sue Honeycutt on April 1, 1972, in Texas. After their divorce in 1977 Duane tied the knot three more times before his last marriage to Beth Smith-Chapman on May 20, 2006. He has a total of fourteen children including a step-son and two deceased.